Our LED Pharmacy cross integrated with Optics, Electron, Mechanism, and Computer technology. 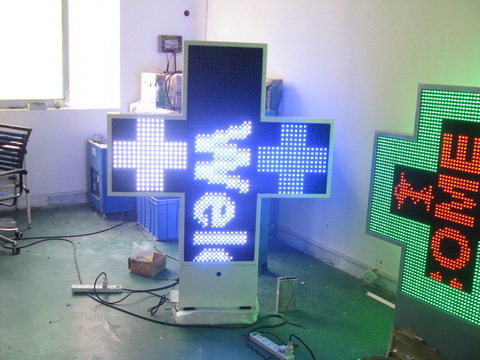 Using novelty and special LED display method, based on the principle of energy efficient,Fully utilize the display efficiency of single color LED. 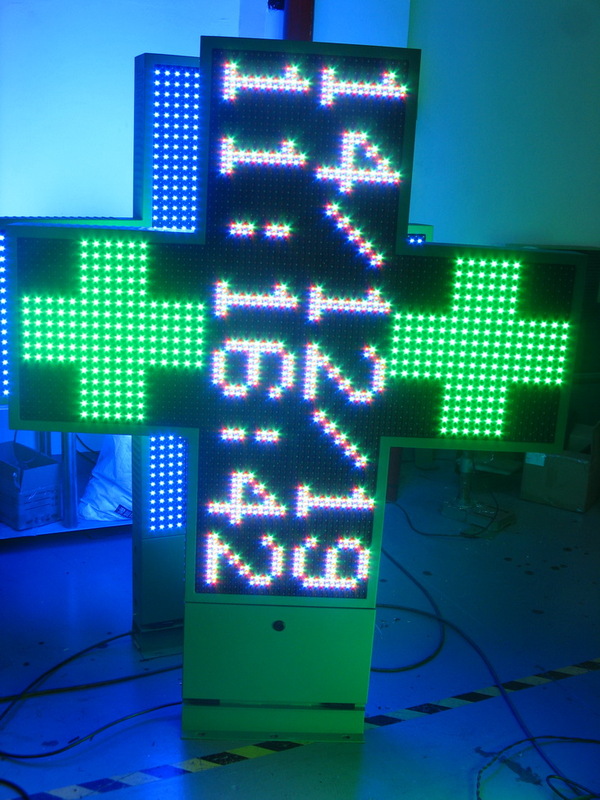 The biggest feature of our LED pharmacy display is utilizing cross display area,using single color and double color mixed way to show dynamic, word, time, date and temperature, to reach amazing display effect.
. 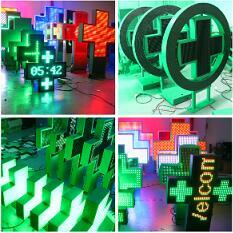 Adopt novel LED display technology, display plane dynamic image in cross area.
. Image display device integrated with Optics, Electron, Mechanism, computer and wireless communication technology.
. Display real- time content. Customer can deal with dynamic file on computer with the special software offered by us. 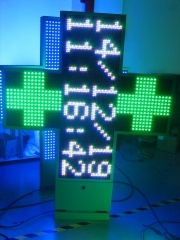 Then send it to LED Pharmacy cross to show via wire or wireless communication way. Dynamic display content will be deal with by special software on computer, then will be send to LED Pharmacy Display via wire or wireless communication way. When LED Pharmacy Display work,It will show static or dynamic content from computer. Our LED Pharmacy can display static state picture, word, time, date, temperature, and also many kinds of enrichment and lively dynamic picture. 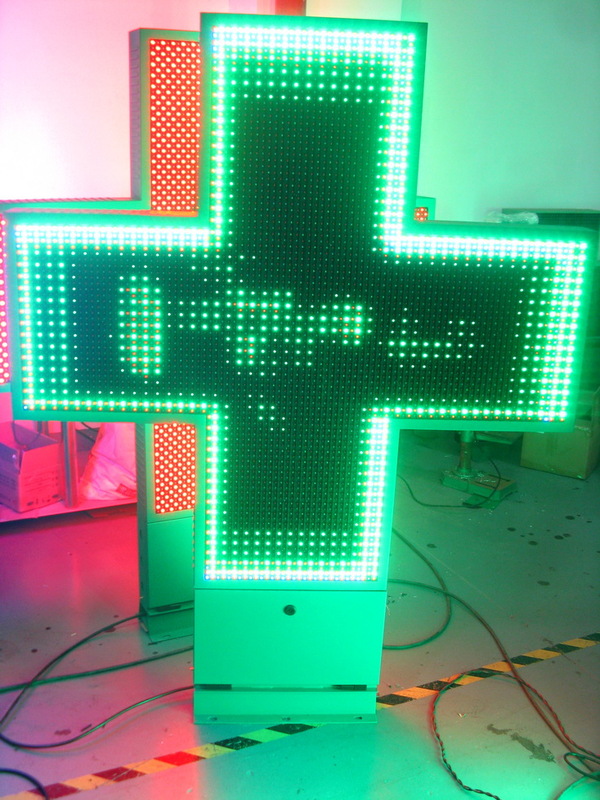 Outdoor waterproof LED pharmacy cross display sign. 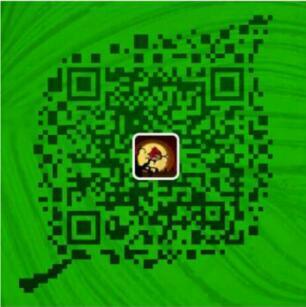 RF Wireless or RS232, RF Wireless MAX communication distance 800m.